Housing affordability is reaching critical levels in some parts of the country. High rise apartments and low density housing in part of Toronto's skyline. As housing costs rise rapidly in parts of Canada, advocacy groups and economists are raising the alarm about eroding affordability. Now the UN’s Committee on Economic, Social and Cultural Rights is adding its voice to the chorus. A committee report released Friday says Canada faces a “persistent housing crisis” and governments must do more to address the issue. 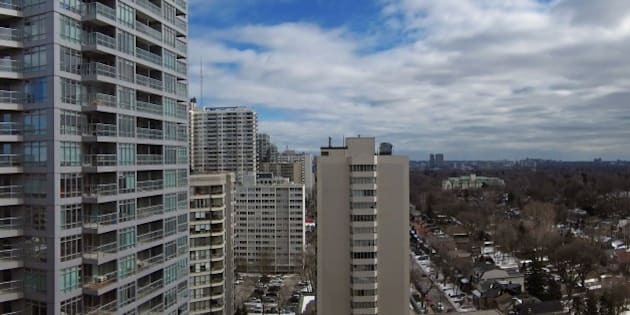 The report comes as evidence mounts that housing affordability is deteriorating in Toronto and Vancouver, which have seen double-digit house price growth in the past year, and rental rates rising at 3 to 4 per cent annually. The Royal Bank of Canada warned last week that housing in these two cities is reaching “dangerously unaffordable” levels. Another study suggests the problem is not limited to Toronto and Vancouver — and younger people are bearing the brunt of it. The study from the Canadian Centre for Economic Analysis (CANCEA) found that, nationwide, Canadians spend 38.5 cents on housing for every dollar they have after core expenses such as food, clothing, debt and child care. But one-quarter of Ontario residents spend nearly twice that — at least 62 cents for every dollar on housing. And 60 per cent of these people are under the age of 45. “A lot of the pain we’re seeing is in the middle class and among under 45-year-olds,” CANCEA president Paul Smetanin told the Globe and Mail. But the UN also sees pain at the lower end of the economic ladder. 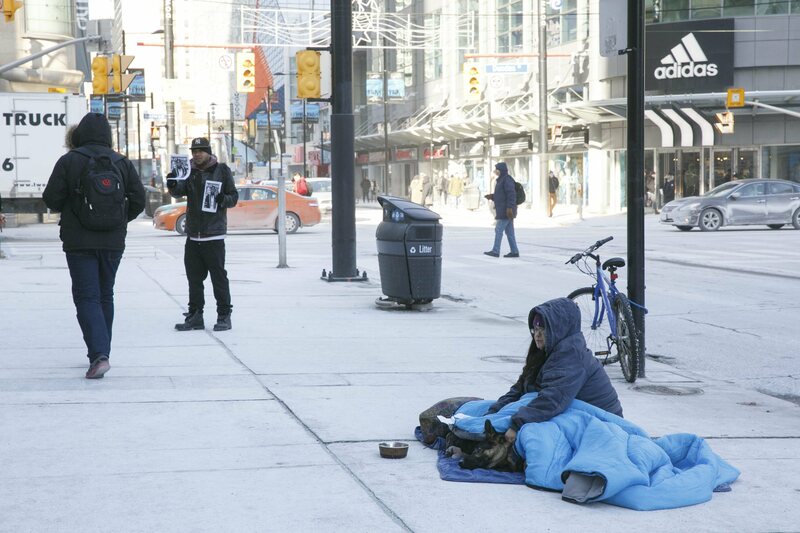 It says Canada is seeing an increase in homelessness and an increase in evictions due to unpaid rent. But Canadian courts have balked at declaring a right to affordable or adequate housing. The Supreme Court last year declined to hear a case in which Toronto social activists were pushing to have affordable housing declared a right. Those groups, which took their case to the UN committee, applauded its report this week. "A committee of international human rights experts was able to see what the Canadian government [refuses] to see — that we are failing to protect a large and vulnerable portion of our population from violations of their fundamental right to housing," Kenneth Hale of the Advocacy Centre for Tenants Ontario (ACTO) said in a statement. In a survey released last month, pollster Angus Reid said two-thirds of Canadians would like to see the government intervene somehow in the housing market. The survey found Canadians clear across the country are concerned about the cost of housing, despite the fact that rising housing costs have lately been limited to Toronto and Vancouver. The UN committee is urging Canadian governments to spend more money on ensuring an adequate supply of affordable housing, to tighten tenants’ protections against eviction, and to repeal laws that penalize homelessness, such as municipal anti-camping bylaws, among other things. “All eyes are on Canada now to see if the new Liberal government will show that it is indeed serious about real change by complying with its international human rights obligations," ACTO’s Helen Luu said.